Don’t have any plans for next weekend? Come out to the Whiteshell for a weekend of winter fun that the whole family can enjoy! The 40th Annual Beaver Days Winter Festival kicks off on Friday, February 7th at the Whiteshell Community Club located on Highway 301, right beside the Falcon Lake entrance (adjacent to Highway 1). Here’s a list of awesome winter activities throughout the weekend. • Family Skate Night – A great way to get the family out on the ice and enjoy the new outdoor skating rink at the Whiteshell Community Club! Family Skate Night goes from 4:00 pm to 8:00 pm and there will be free hot dogs available for children! • Casino Night & Texas Hold’em Tournament – Some fun and games for the adults on Friday night! Both start at the Whiteshell Community Club at 8:00 pm. The Texas Hold’em tournament, organized by Falcon Beach Auto, will have a $40 entry fee. • Beer Gardens – Open from 5:00 pm to 1:00 am at the Whiteshell Community Club. • Variety Auction – Organized by West Hawk Marine Ltd. Tickets will be on sale from 5:00 pm to 11:00 pm and all day Saturday and Sunday until 4:00 pm. Lots of great prizes! • Breakfast – Saturday kicks off with a breakfast at the Whiteshell Community Club from from 8:30 am to 11:30 am courtesy of the Falcon Lake Golf Course restaurant. • Snowmobile Poker Derby – The snowmobile poker derby goes from 10:00 am to 3:00 pm on Saturday. Both registration and the starting point are at the Whiteshell Community Club. The second checkpoint is at the Mud Lake shelter, third checkpoint is at Pittman’s on 44, the fourth is at the Zubek Shelter, and the final checkpoint is back at the community club. Prizes are: Gold – $1,000; Silver – $400; Bronze – $300. Come ride the beautiful snowmobile trails in the Whiteshell and possibly win some cash while you’re at it! • Demo Day – Looking for a new ride for the trails? Come check out the lineup of new sleds in the Falcon Mall parking lot from 10:00 am to 3:30 pm. Sponsored by Winnipeg Sport & Leisure and Enns Brothers. • Sponge Hockey Tournament – Starts at 11:00 am Saturday on the outdoor rink at the Whiteshell Community Club and continues on Sunday. $150 entry fee per team. 100 per cent payout. If you would like to register a team call or text Ian at 1(204) 295-6052. Organized by the Falcon Lake Marina. • Beer Gardens – Open from 11:00 am to 1:00 am at the Whiteshell Community Club. There will also be a canteen open from noon till 5:00 pm. • Kids Activities – From noon till 3:00 pm on Saturday kids can enjoy games, crafts, face painting, glitter tattoos, animal balloons, and more. Noon to 1:30 pm is open for children ages 6 and under and 1:30 pm to 3:00 pm for children ages 7 and up. • Horse-Drawn Sleigh Rides – Nothing says winter fun more than dashing through the snow in a horse-drawn sleigh. The Falcon Beach Ranch will be providing sleigh rides starting at 1:00 pm on Saturday, You can register at the gym at the community club. • Whiteshell Fur Trappers Display – From 1:00 pm to 4:00 pm. • Beard & Moustache Competition – Come showcase your fantastic facial hair at the Falcon Ridge Ski Hill and get some skiing or boarding in to boot! The competition is part of the Beaver Days festivities. Entry is free. Prizes will be awarded to the longest, the thickest, and best groomed beards and moustaches (all separate categories). Prizes will include: – A free season pass at Falcon Ridge Ski Hill – A free stay at Falcon Trails Resort – A $50 food voucher for Falcon Ridge cafe – Falcon Ridge apparel. To register, come on down to the ski hill anytime before February 9, 1:00 to have your photo taken. Judging and prizes will take place on Sunday February 9 at 5:00 pm at the Whiteshell Community Club (right before the Red Moon Road show! )• Snow Dance Performance – By the Falcon Beach Academy of Dance at 5:00 pm. • Homemade Ukrainian Dinner – 6:00 pm to 7:00 pm. $25 for dinner and entertainment. $15 for dinner-only or entertainment-only. $10 for kids. • Family Skating – 7:00 pm at the Whiteshell Community Club.• Entertainment by Steve Chmara – Performance by illusionist and classic magician at 8:00 pm. Great entertainment for the whole family! • Music by Dagan Haddad – 9:30 pm at the Whiteshell Community Club. • Breakfast – Another breakfast will be held at the Whiteshell Community Club from 8:30 am to 11:30 am. Courtesy of the Falcon Lake Golf Course restaurant. • Beer Gardens – Open from 11:00 am to 1:00 am at the Whiteshell Community Club. • Kids Poster Contest – 11:00 am. 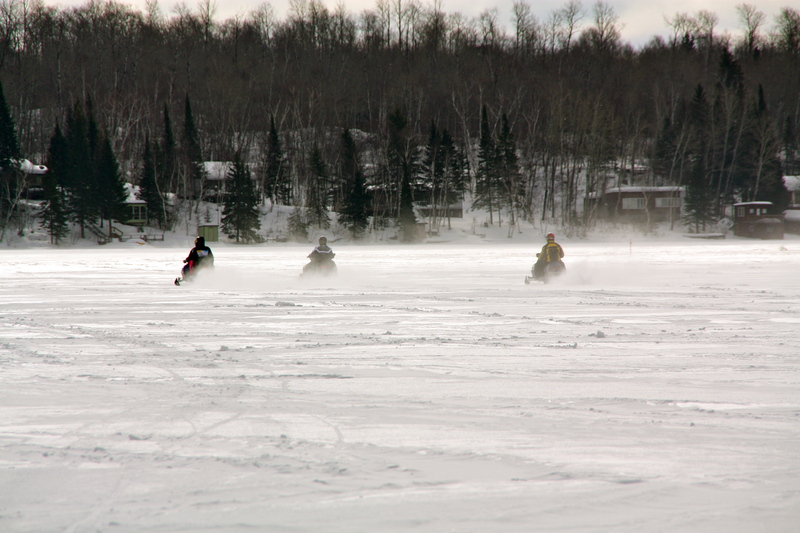 • SnoMo Radar Runs – Take your sled for a run down Falcon Lake! Goes from noon to 3:00 pm at the main beach in Falcon Lake. Prizes will be awarded at the Whiteshell Community Club at 4:00 pm. • Whiteshell Winter Olympics – Teams of four can compete in snowshoeing, trap setting, and biathlon. Registration is at 11:00 am at the gym at the Whiteshell Community Club. Races begin at noon. • Whiteshell Trappers Fur Display – From noon till 4:00 pm. • Chilli Cook-Off – Register your delicious chilli at 2:00 pm! • Mini Cupcake Contest – Kids-only event. Judging will happen at 3:30 pm. • Variety Auction Wrap-Up – All tickets must be in by 4:00 pm. Draw for the great prizes will happen at 5:00 pm. • Music by Red Moon Road – Enjoy tunes from the creators of the Whiteshell-inspired album, Tales From the Whiteshell. Red Moon Road will play at 5:30 pm. 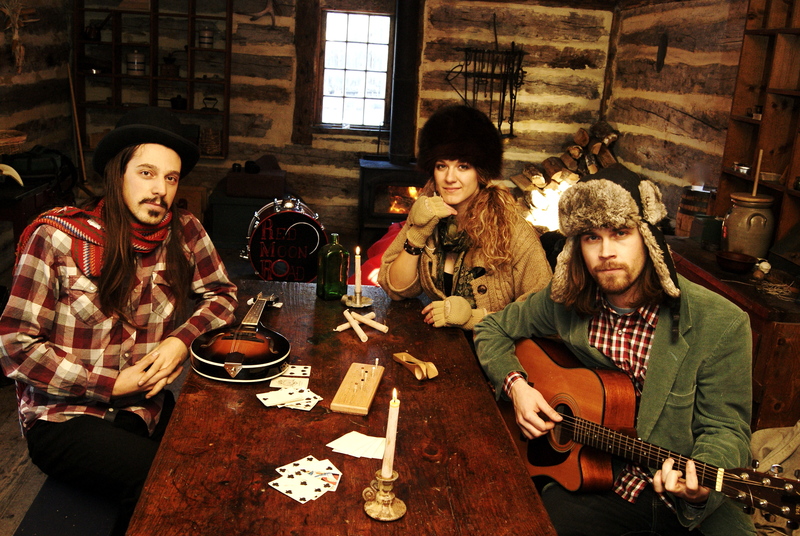 Red Moon Road will be performing at Beaver Days on Sunday at 5:30 pm. This entry was tagged Beaver Days, community, Enns Brothers, Entertainment, Falcon Beach Auto, Falcon Beach Ranch, Falcon Lake Golf Course, Falcon Lake Marina, Falcon Ridge Ski Hill, Poker Derby, Sleigh Rides, Snowmobile, Sponge Hockey, West Hawk Lake, West Hawk Marine, Whiteshell Community CLub, whiteshell provincial park, Winter Festival. Bookmark the permalink. That’s right… we’ve got something for everyone!!! For the 40th anniversary, we’ve made sure we’ve got the favorites, and a few new events, too. The Saturday headliner, Steve Chmara will amaze – I promise!!! It’s not listed, but we’ve brought back the minnow races and have some special treats for the kids planned! Embrace winter – see you at the lake! !